The leaders of China, France, Germany and the EU were set to meet in Paris on Tuesday for "unprecedented" talks on how to improve ties, despite growing jitters over Beijing's massive investments in Europe. "This is an important gesture that we are making now. It is testament to your deep attachment to China's cooperation with Europe... and my desire to build a strong Europe," he told Xi. German Chancellor Angela Merkel and EU Commission chief Jean-Claude Juncker will join Xi and Macron at the Elysee Palace to explore "points of convergence" between the two trading giants. On Monday China and France inked a dozen deals on nuclear power, cultural exchanges and clean energy, while Beijing also committed to buy 290 Airbus A320s and 10 A350 airliners from Europe's Airbus conglomerate. All of the deals, including one on French exports to China of frozen chicken, amount to a total of some $40 billion. Xi's visit poses a particular challenge for Macron, who wants to deepen EU ties with China while pushing back against Beijing's growing global clout. 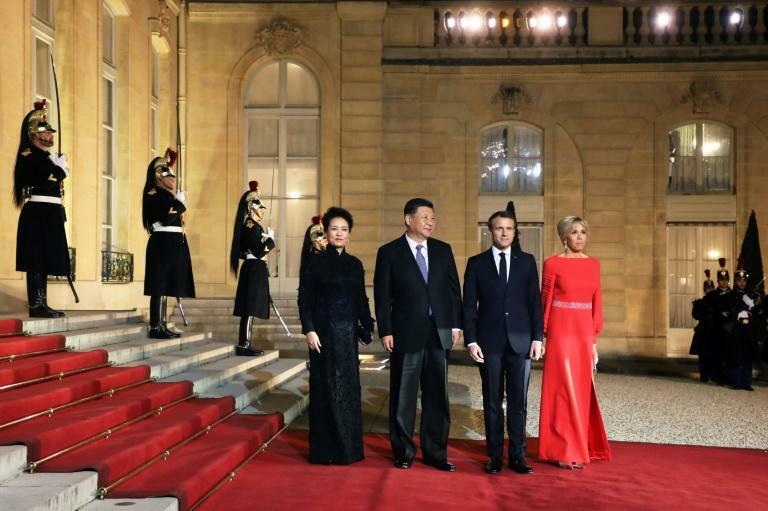 Speaking at the Elysee Palace on Monday following talks with Xi, Macron called for a "strong Europe-China partnership", adding that this must be based on "strong multilateralism" and "fair and balanced" trade. Meanwhile Xi stressed that "a united and prosperous Europe fits in with our vision of a multipolar world". Earlier on his trip, Xi visited Italy, which became the first G7 state to sign up to China's vast "New Silk Road" infrastructure project that has sparked unease in the US and the European Union. 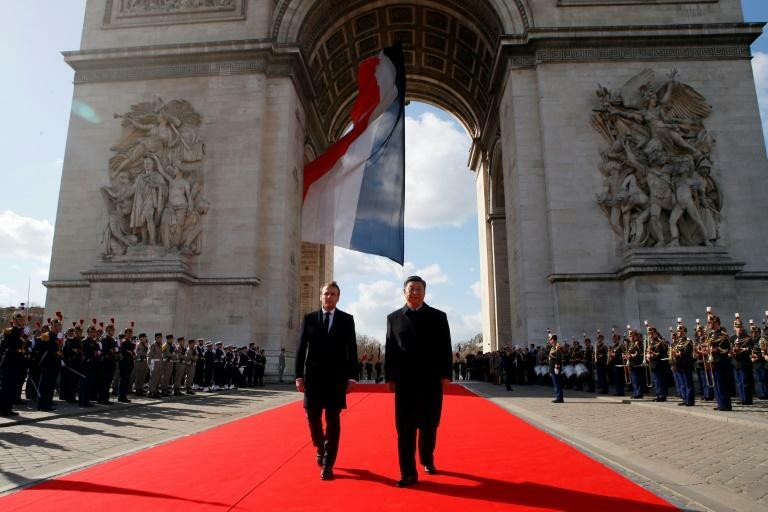 Macron announced that France and China will cooperate on a number of investment projects in some of the countries involved in the initiative, a massive undertaking to link Asia to Europe. Xi has insisted the project will be a two-way street of investment and trade. As well as addressing commercial cooperation and strategic issues with Xi, Macron has also been urged to deal with the case of Meng Hongwei, the Chinese former head of the France-based Interpol police agency. Meng's wife has had no news of her husband since his arrest in China nearly six months ago. It emerged Sunday she had written to Macron asking him to bring up his disappearance with Xi. 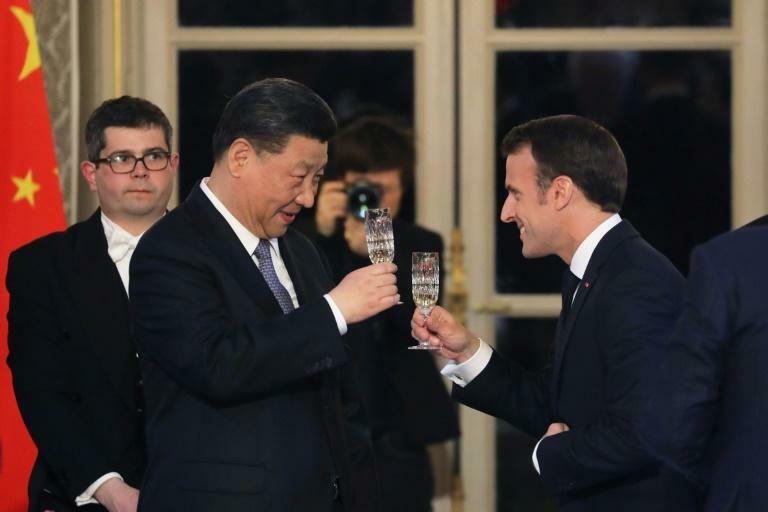 Despite the many sources of friction, France wants to engage China as a closer partner as Washington becomes more isolationist under Trump's "America First" policy.